Following the critically-acclaimed album Follow Me, roots music icon Kim Lenz returns with her fifth release Slowly Speeding. A culmination of some two decades of honing her songwriting and performing craft, Speeding layers her influences over a soundscape spanning Western Gothic through Rhythm and Blues to Honky Tonk and Rockabilly. 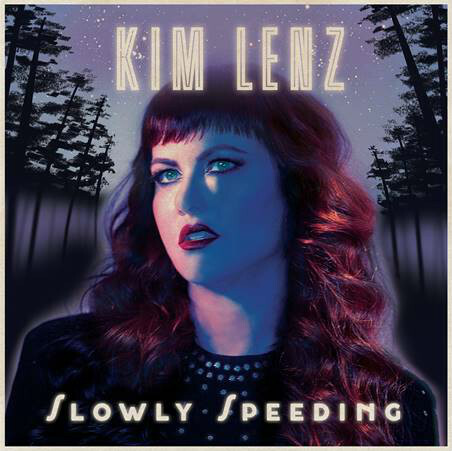 Evocative, surprising and poignant at turns—with superlative musicianship and production throughout—Slowly Speeding finds Kim Lenz at the peak of her powers and ready to deliver a journey through heart and mind to listeners. Available on vinyl and CD. Label: Blue Star Record Co.